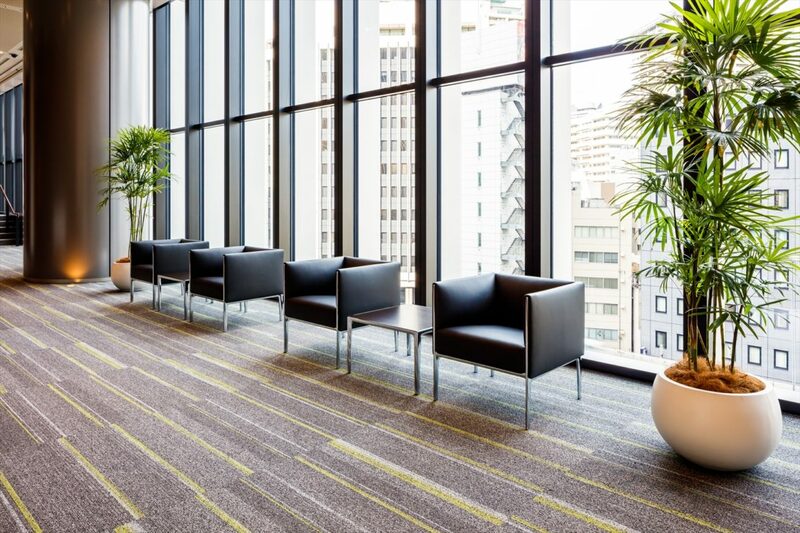 The lobby in the Akasaka International Conference Center comes with chairs and side tables from Wilkhahn’s Asienta range. Tokyo often causes a stir with spectacular buildings and plays with visions of the future such as a new neighbourhood off the coast of this mega-city. As a residential and office building, the Akasaka Intercity Air has been a new addition to the cityscape since September 2017. Some 32 storeys plus a penthouse tower above the city. Three underground storeys also belong to the exceptionally earthquake-proof building. The plans were drawn up by renowned architects Nihon Sekkei. The structure complements the Akasaka Intercity building complex that was built back in 2005. It stands apart for its terracotta cladding and has already received several awards. At about a quarter of its height taller, the new build towers above it. The high-rises are connected with a park-like, partially covered space located near to the American embassy and directly on the Tameike-sanno underground station. In addition to businesses, restaurants and cafés, the complex also accommodates the Akasaka Intercity Conference Center. A lounge with a view of the green space outside and English-speaking service staff ensure that international guests feel welcomed. 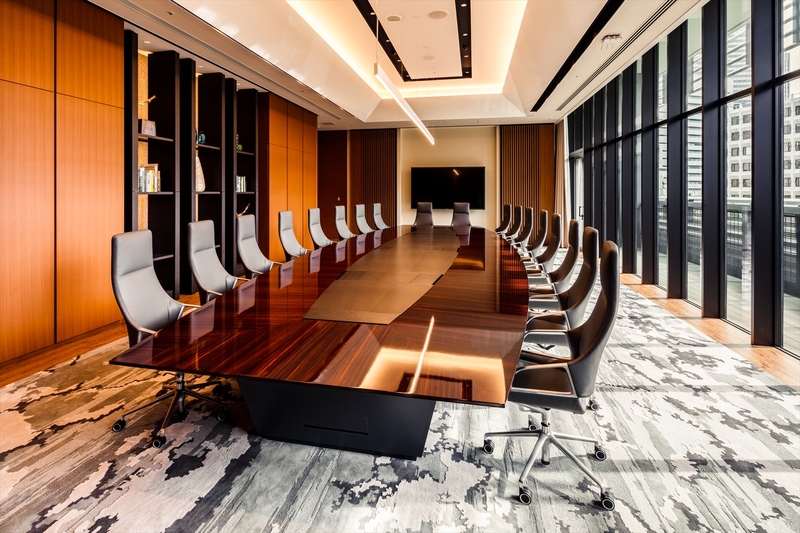 The 12 meeting rooms are lent a certain cachet by Wilkhahn’s Graph conference chairs. In the lobby, guests can take a seat on comfortable Asienta chairs with matching side tables. The Graph conference chair in the Akasaka Intercity Conference Center, Tokyo.